As you descend upon the desert planet of Tatooine with the Twin Shadows expansion, these new Ally Packs and Villain Packs bring Star Wars™ heroes and villains to life. Like previous Ally Packs and Villain Packs, such as the Luke Skywalker Ally Pack and the Darth Vader Villain Pack included in the Core Set, these expansions feature sculpted plastic figures to replace the tokens found in the Twin Shadows expansion and supplement your campaigns and skirmishes with new cards and missions. Journey to Tatooine and engage in fast-paced skirmishes with these new Twin Shadows figure packs! 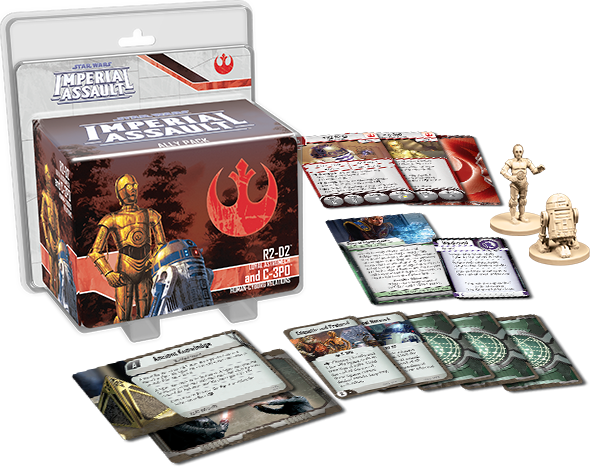 During your Imperial Assault missions, both R2-D2 and C-3PO have useful tasks to fulfill. R2-D2’s mastery of computers is unparalleled, allowing him to hack and hardwire his way past enemy defenses. C-3PO, on the other hand, can give your troops the crucial information they need, even while distracting your opponent’s figures. In your campaigns, these Droids offer a key advantage in the new Open to Interpretation side mission, which challenges you to steal Imperial data from a heavily defended base. 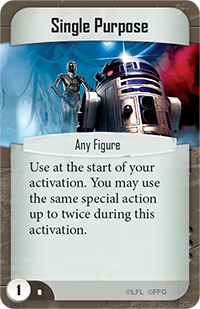 C-3PO and R2-D2 are worthy allies in your skirmish games as well, distracting enemy figures, allowing you to draw more Command cards, and focusing your own figures. You may even use the Single Purpose Command card to make R2-D2 or C-3PO’s special actions twice as effective. The new Wasteland Outpost skirmish map offers two brand-new missions, but wherever you battle in the Star Wars galaxy, these two Droids are sure to prove useful. Many bounty hunters ply their trade throughout the galaxy, chasing down and capturing their quarries. These men and women are well known as hard fighters and relentless pursuers, but even among the bounty hunters, there is one who has forged a reputation for his brutality and skill. 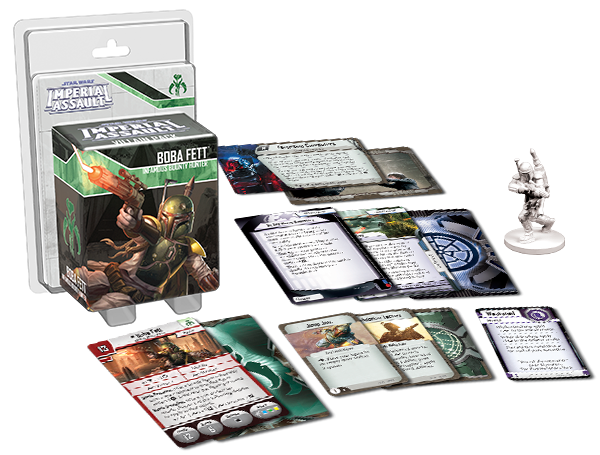 Now, you can hire Boba Fett – the most feared bounty hunter in the galaxy – for any Imperial Assault mission you may undertake. Boba Fett is a valuable asset for any servant of the dark side. Whether you hire him for a campaign or a skirmish mission, his formidable abilities and explosive armaments make him a deadly opponent. In addition to Boba Fett’s own talents, you can also use the Soldiers for Hire agenda set to harry the heroes between missions. You can ground and attack a Rebel supply convoy on Yavin 4 in a new side mission and you can use any means necessary to take down a targeted hero during a mission. 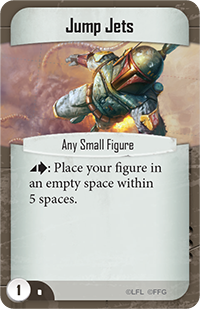 In your skirmish games, the new skirmish upgrade and Command cards included in the Boba Fett Villain Pack can provide a crucial advantage over your opponent. With Jump Jets , for instance, you can fly across the battlefield, cutting off your target’s escape or quickly bypassing any obstacles that stand between you and a mission objective. Whether you battle through the new Imperial Space Station map or engage in another skirmish mission, this figure pack has plenty to offer to every player. Legions of Stormtroopers are the fist of the Galactic Empire, smashing down on dissension and rebellion wherever they appear. These troopers are highly trained warriors, and a cunning leader only makes them more dangerous. 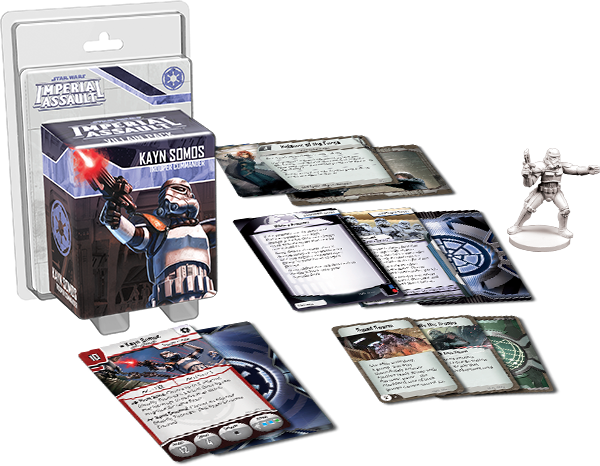 In this figure pack, you gain access to Kayn Somos, a trooper commander renowned for his ruthless tactics. Kayn Somos is a dangerous combatant in his own right, but he truly shines in his ability to command other Troopers in battle. 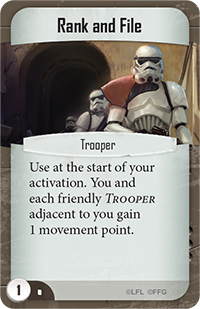 He can focus his comrades, grant them more attacks, or harness a Command card like Rank and File to boost the movement of his Troopers. No matter where he goes on the battlefield, Kayn Somos is an inspiring presence, bringing increased firepower and keen battlefield tactics to the Empire’s troops. This Villain Pack also includes the Stormtrooper Support agenda set. With this set, you can challenge the Rebels to attack a Stormtrooper training facility and you can draw upon your endless reinforcements to overwhelm the heroes and extinguish the flame of Rebellion. You’ll also find two new missions for the Imperial Assault skirmish game. You can lead Kayn Somos and his endless squads of Troopers into the Tython Meditation Fields or any other skirmish map, sweeping all opponents before the might of the Empire. Whatever your battlefield, Kayn Somos’s sound tactics and commanding presence help to tip the odds in the favor of the Galactic Empire. 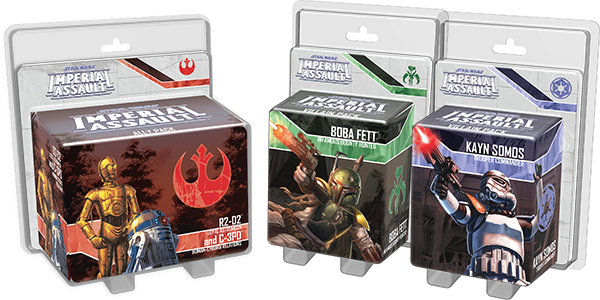 Three new Ally Packs and Villain Packs are coming soon for Imperial Assault. You may begin a daring Rebel mission with R2-D2 and C-3PO, hunt down your mark with Boba Fett, or command battalions of Stormtroopers with Kayn Somos. 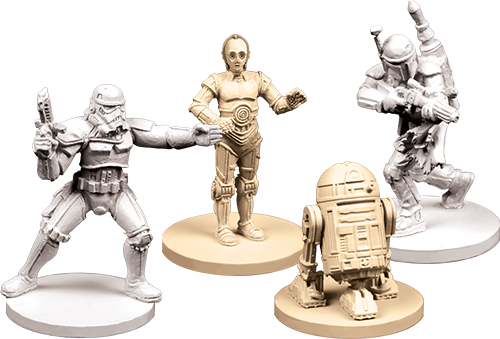 Whether you use these figure packs to travel to Tatooine in conjunction with the Twin Shadows expansion or in your other Imperial Assault skirmishes, you’ll find thrilling new missions and the cards you need in these figure packs. Look for the R2-D2 and C-3PO Ally Pack, the Boba Fett Villain Pack, and the Kayn Somos Villain Pack in the second quarter of 2015!